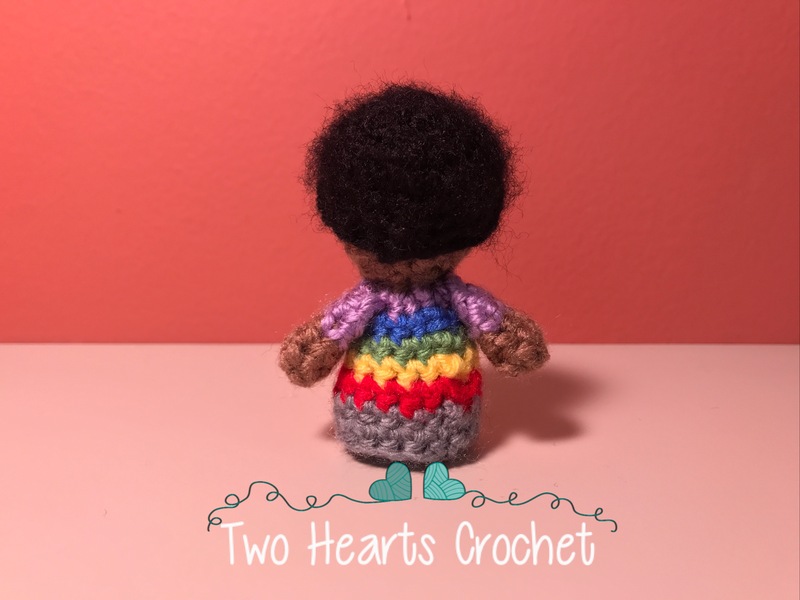 Here at Two Hearts Crochet, we believe in creating an inclusive environment for crafty folks of all types. Of course, this means we are big supporters of LGBTQ rights. 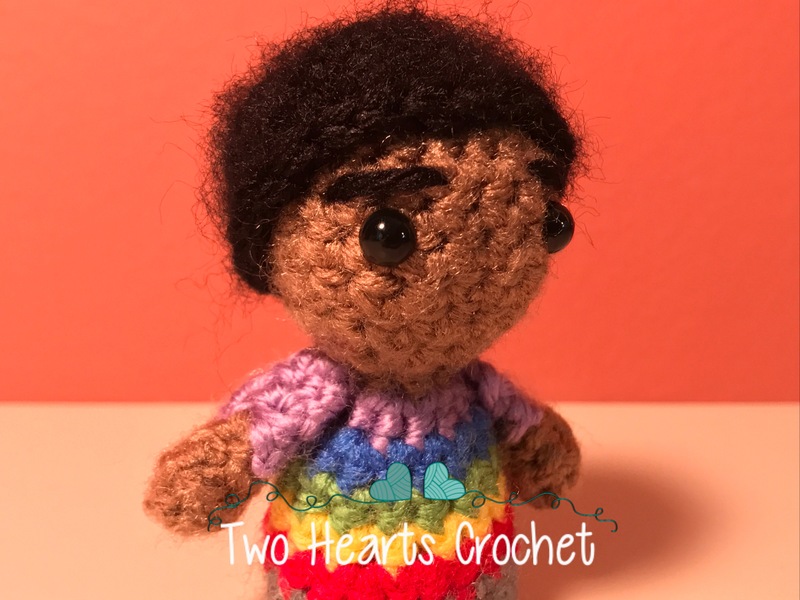 June is Pride Month, so we thought it would be fun to share a couple of dolls inspired by some dear friends! So, meet Gabby and Gordo! I’m so in love with them, aren’t you? So let’s get started! We’ll start with Gabby–scroll down to find the pattern for Gordo! 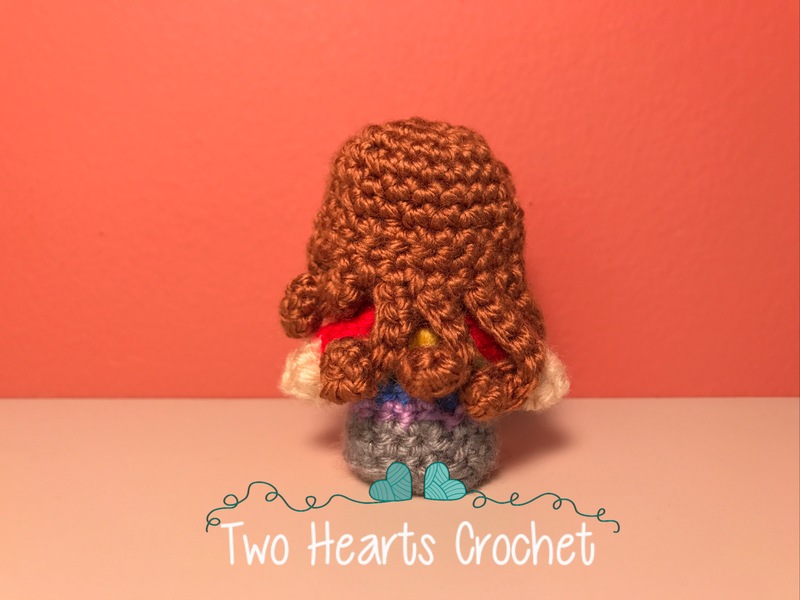 These patterns follow our established style for mini amigurumi dolls, so you can use hairstyles interchangeably. 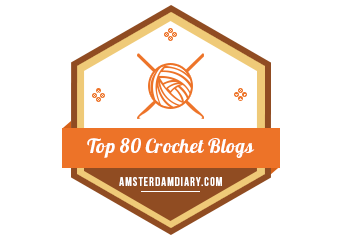 Check out our other mini ami patterns for inspiration! Rnd 20) *sc dec* – repeat 3 times. Join and fasten off. Weave in all ends for the head and the body. Sew the arms to the doll’s body between rnds 11 and 12. Weave in ends. 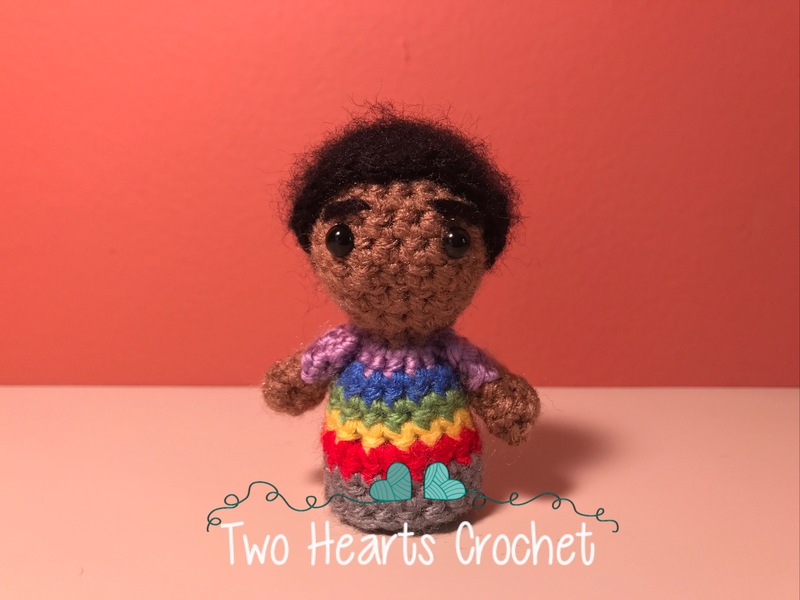 Use a strand of yarn in REDDISH BROWN and a yarn needle to embroider on the doll’s eyebrows. Weave in ends. 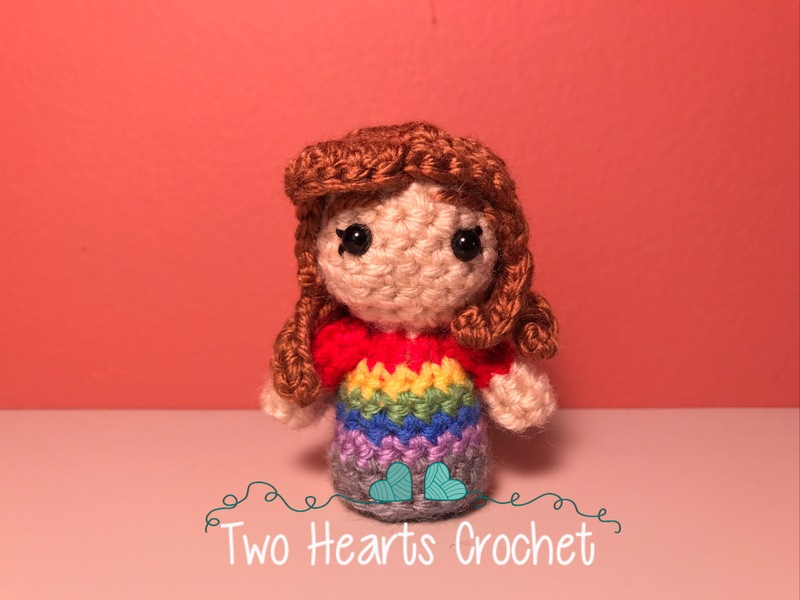 Use a strand of BLACK crochet thread and a yarn needle to embroider on the doll’s eyelashes. Weave in ends. doll’s head. Weave in ends. If desired, you can use a piece of Velcro (or something similar) to help frizz up the hair! 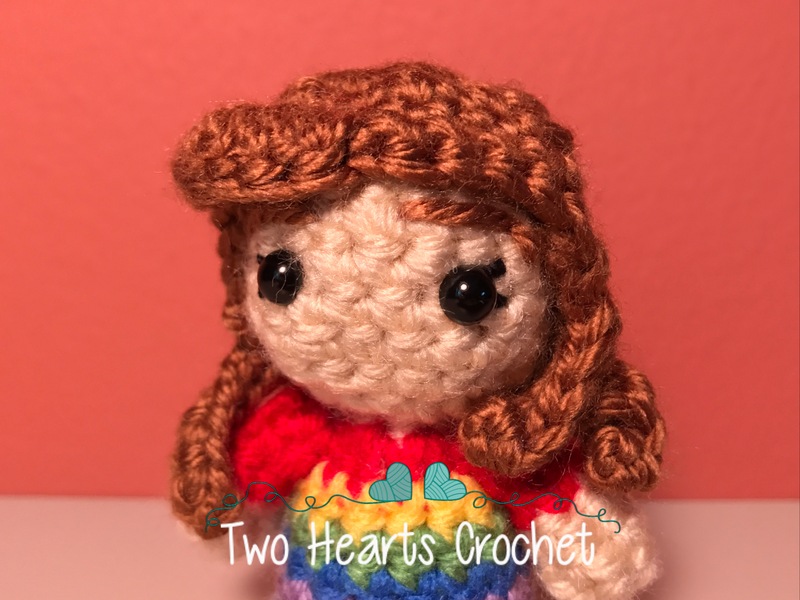 Use a strand of yarn in desired hair color and a yarn needle to embroider on the doll’s eyebrows. Weave in ends.